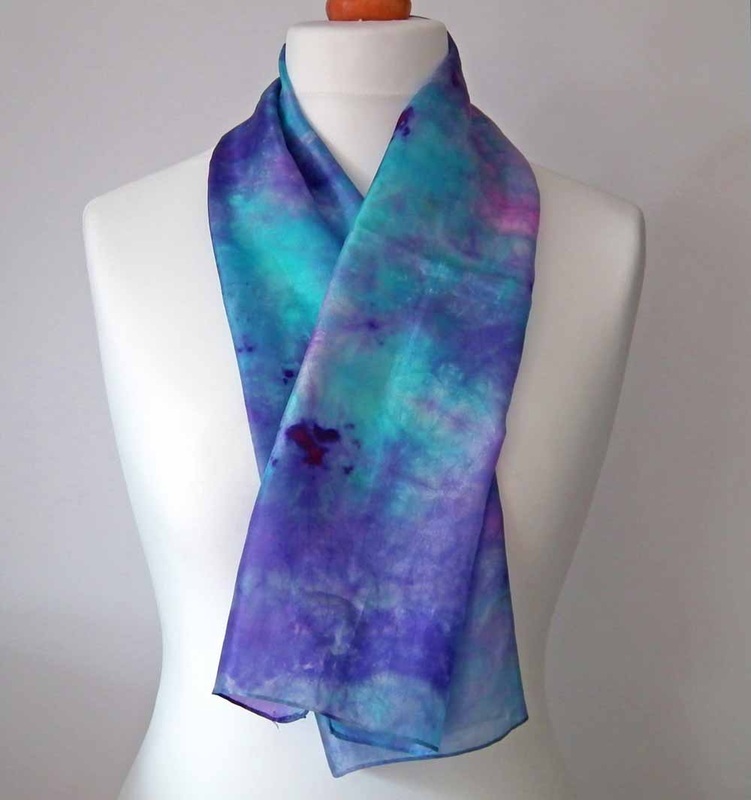 I paint and dye the silk using high quality steam-fixed silk dyes, as these create an intense colour while maintaining the 'hand' or feel of the silk fabric. 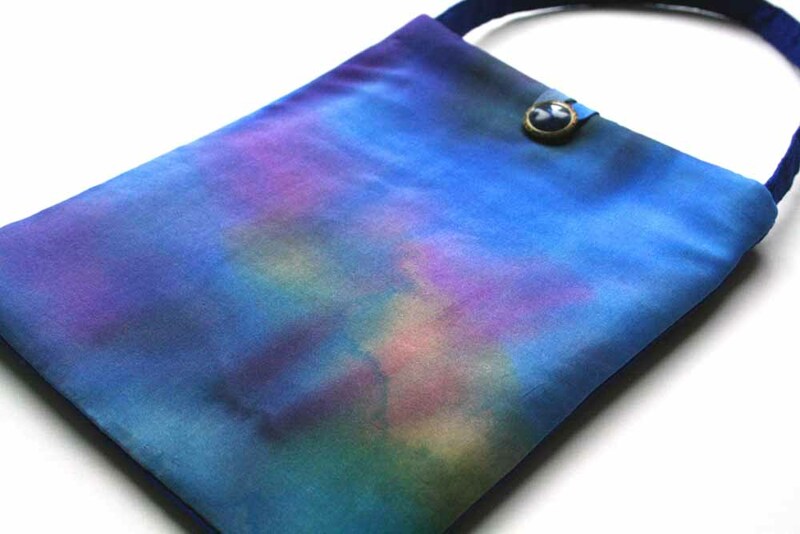 For artwork, bags and cushions I generally use habotai silk, which is smooth and has a slight sheen, or dupion silk, which is heavier with an uneven weave. 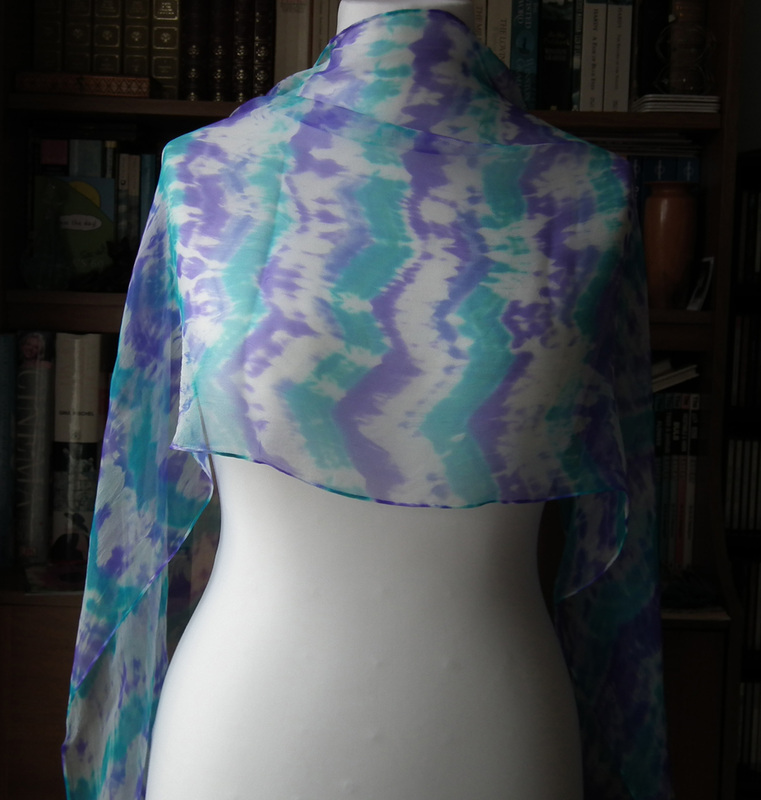 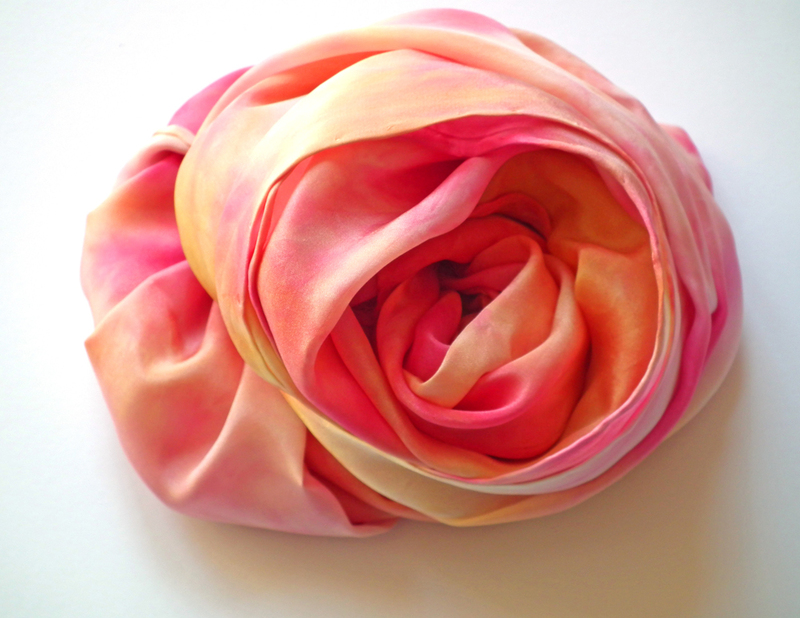 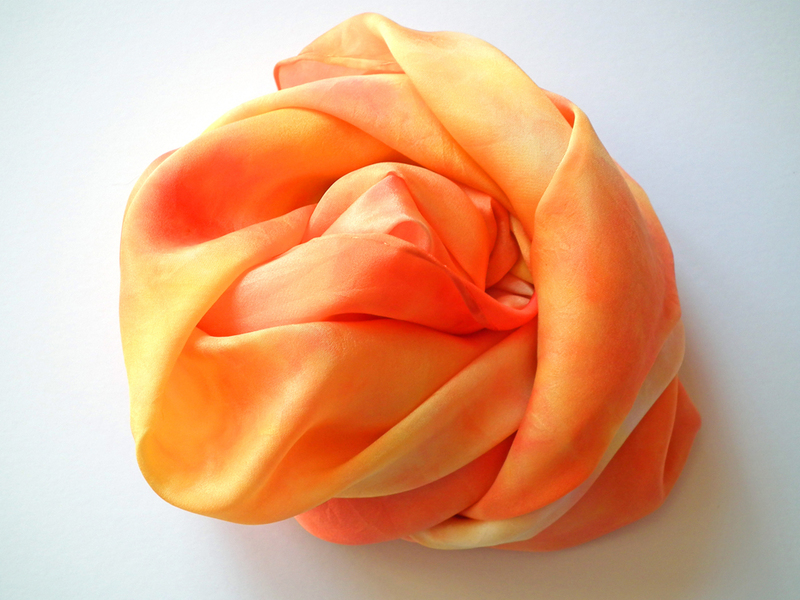 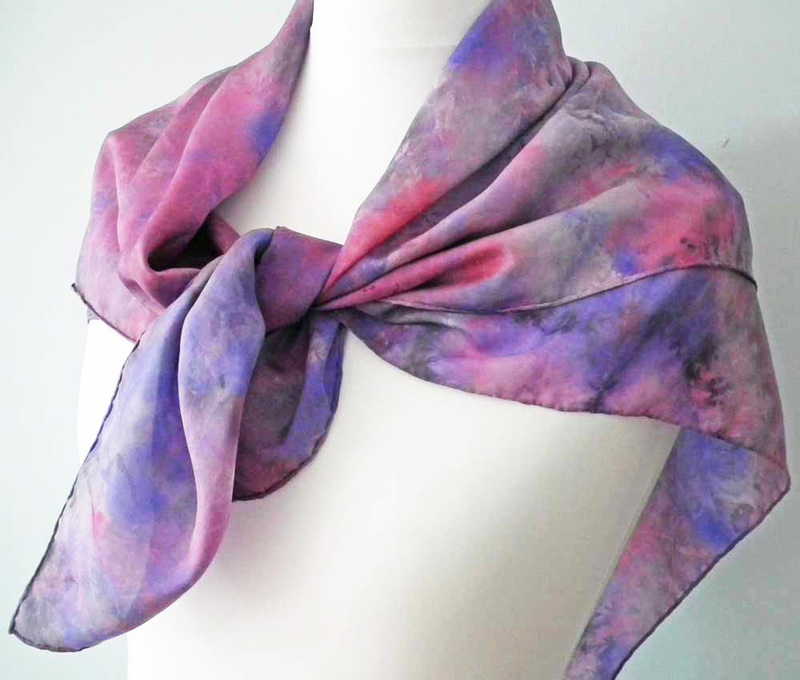 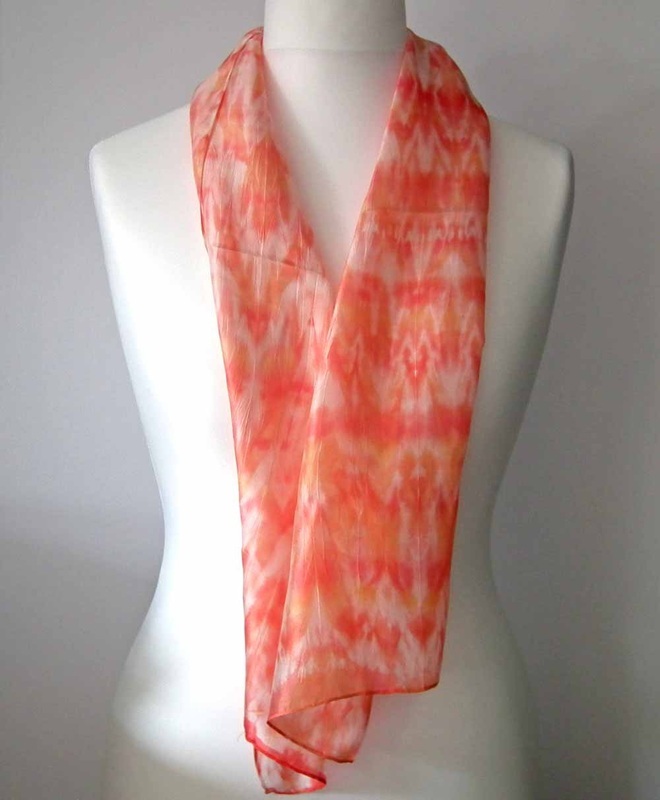 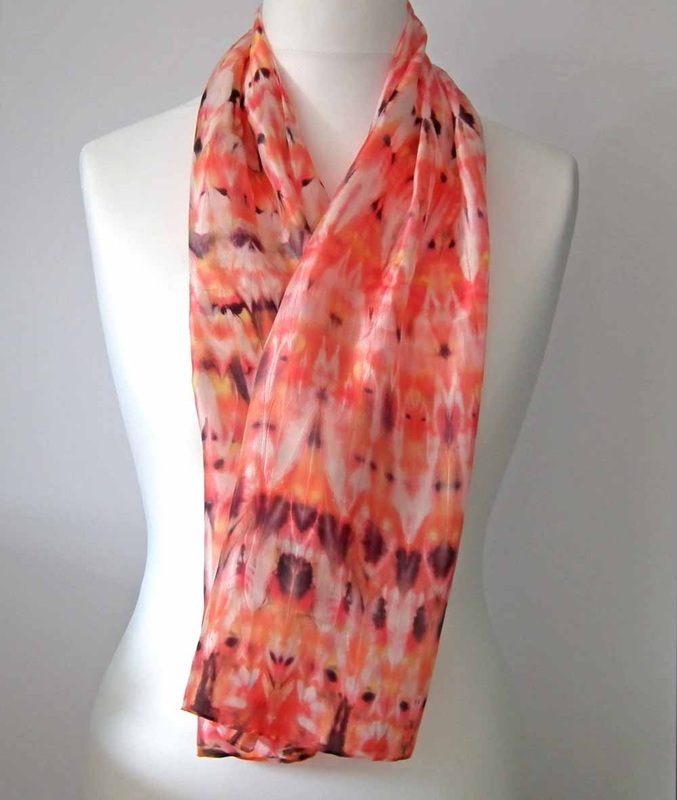 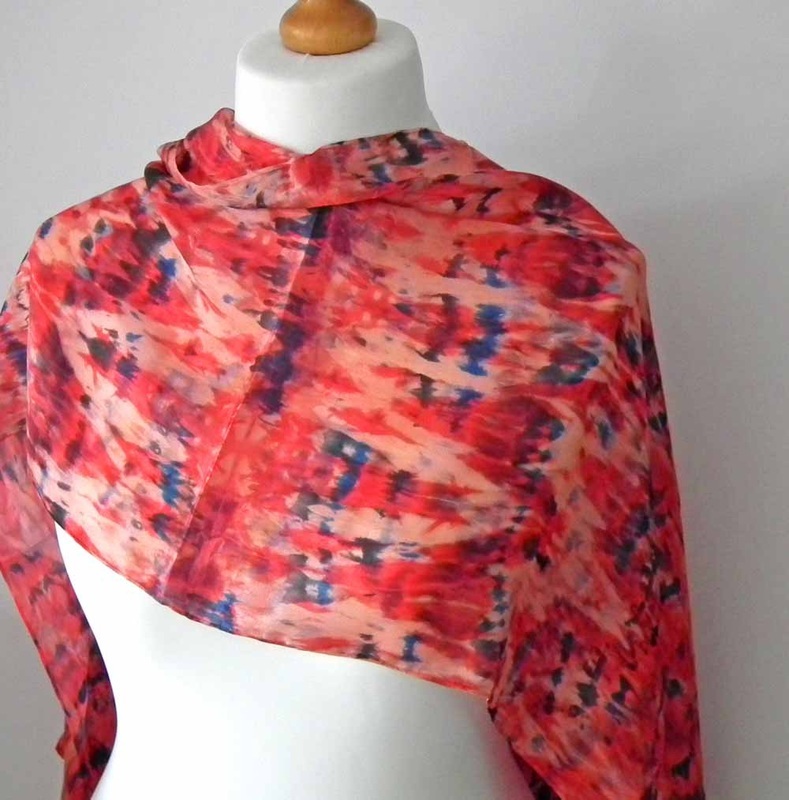 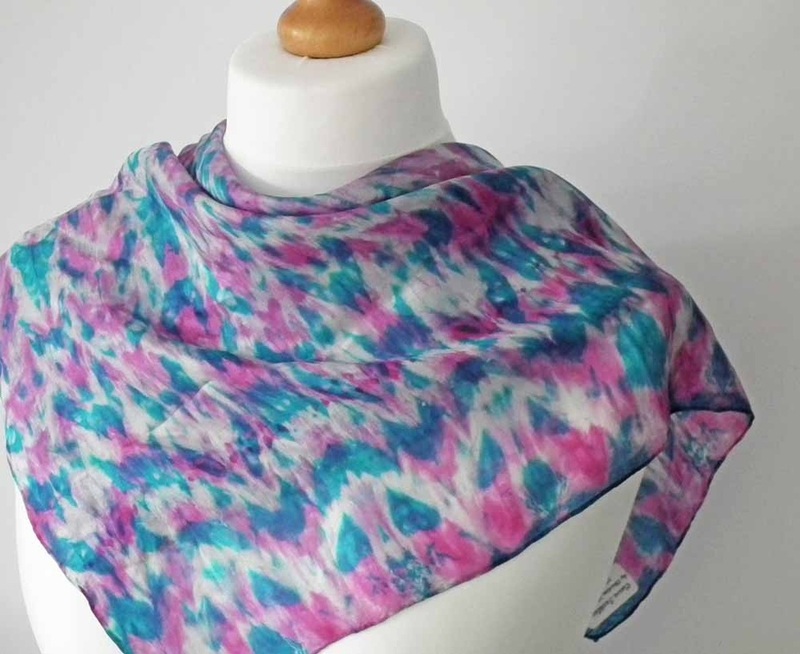 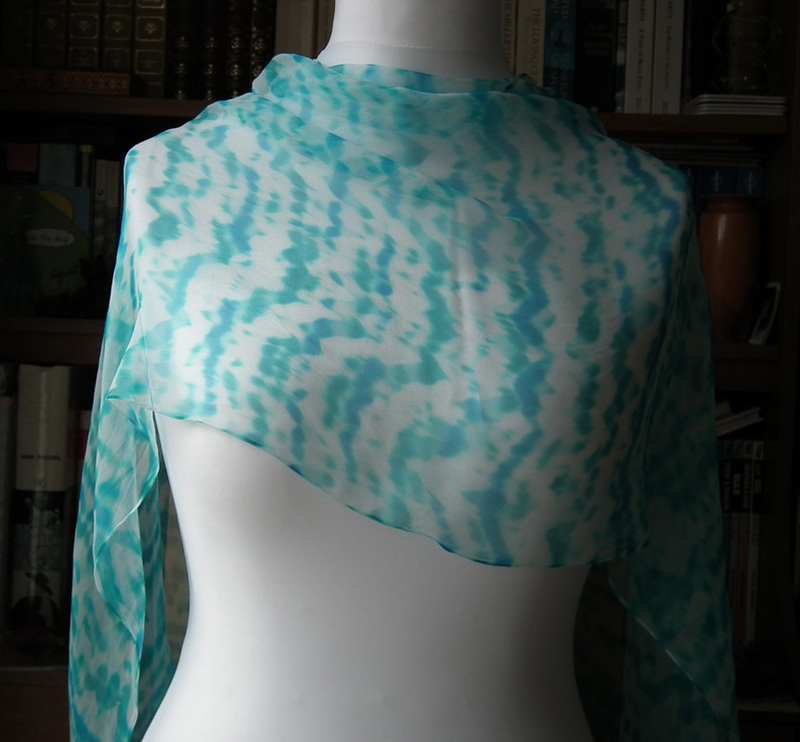 For scarves I use habotai, chiffon, crepe de chine and crepe georgette. 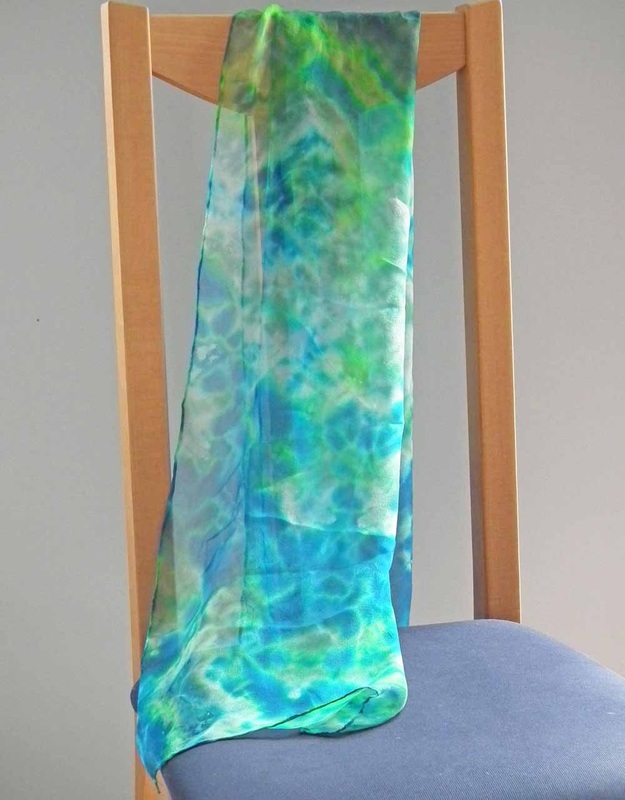 Silk chiffon is very fine and floaty, almost transparent, and is ideal for evenings and summer days. 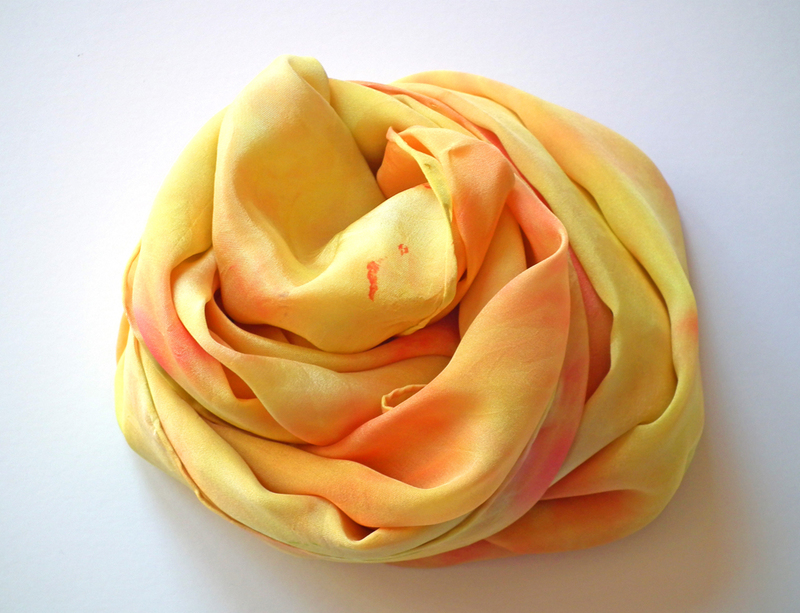 Silk crepe de chine has a slightly matte surface and drapes beautifully. 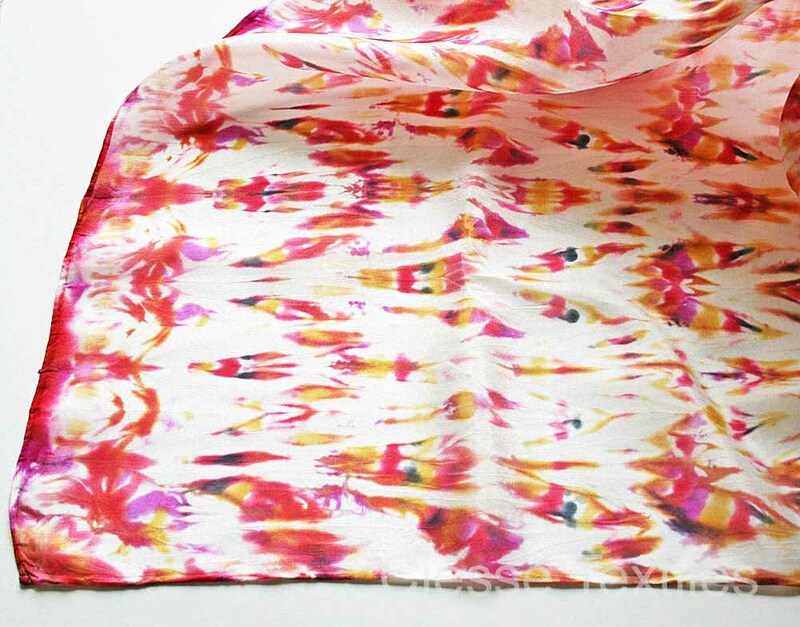 Silk crepe georgette is heavier and thicker than silk chiffon, semi transparent, with a luxurious feel. 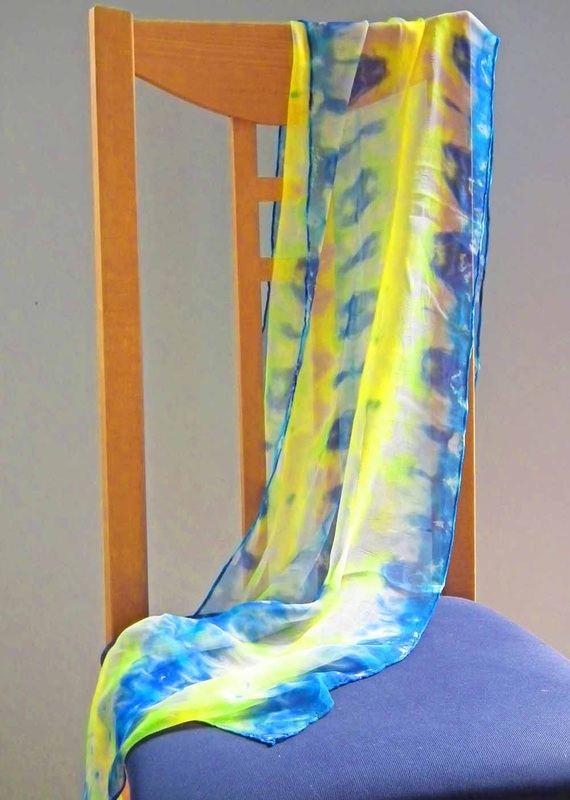 To paint on silk, the fabric has to be stretched onto a frame and left until the paint is completely dry. 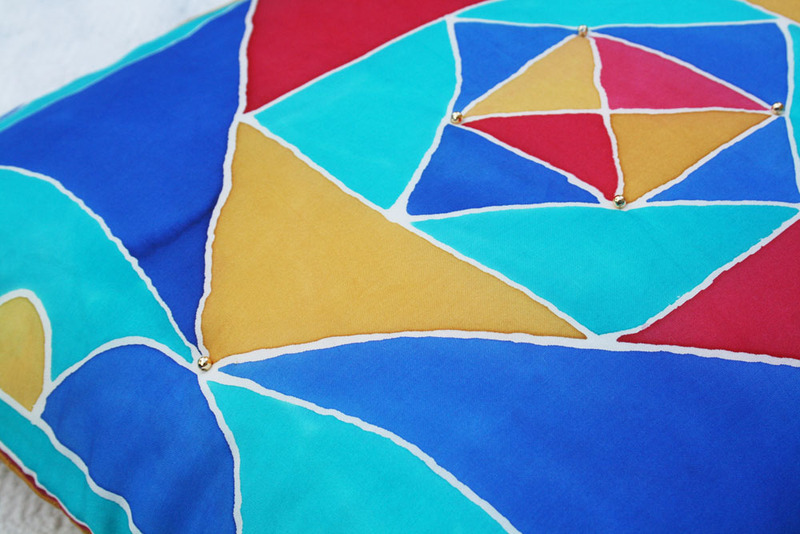 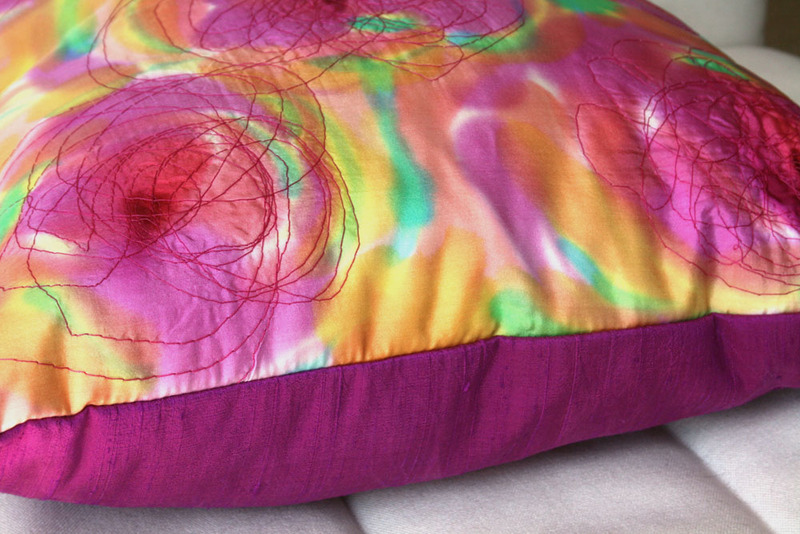 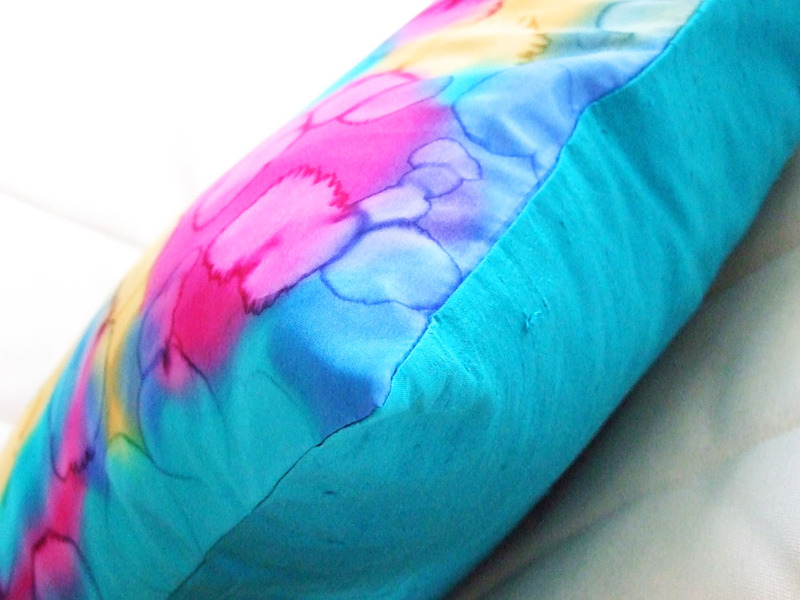 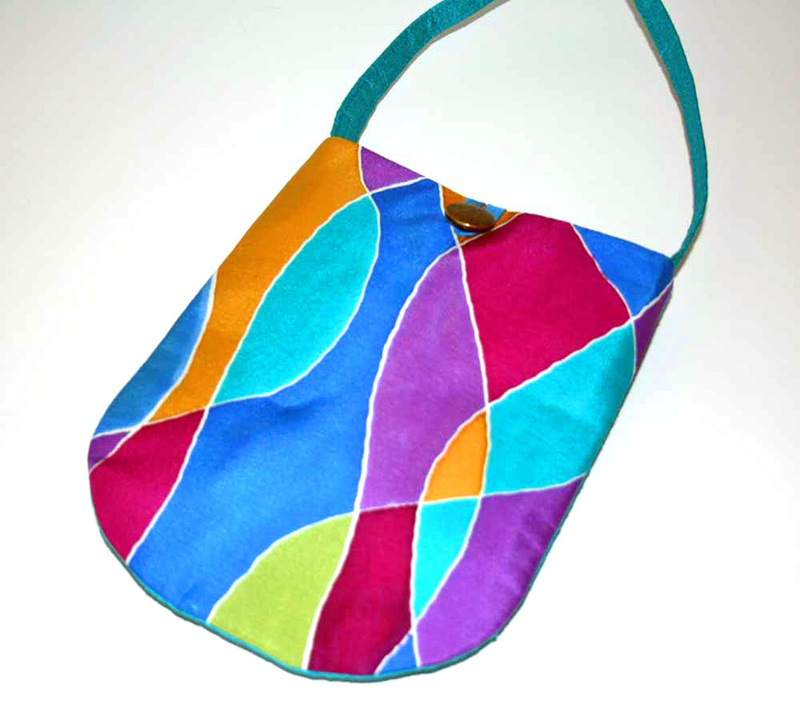 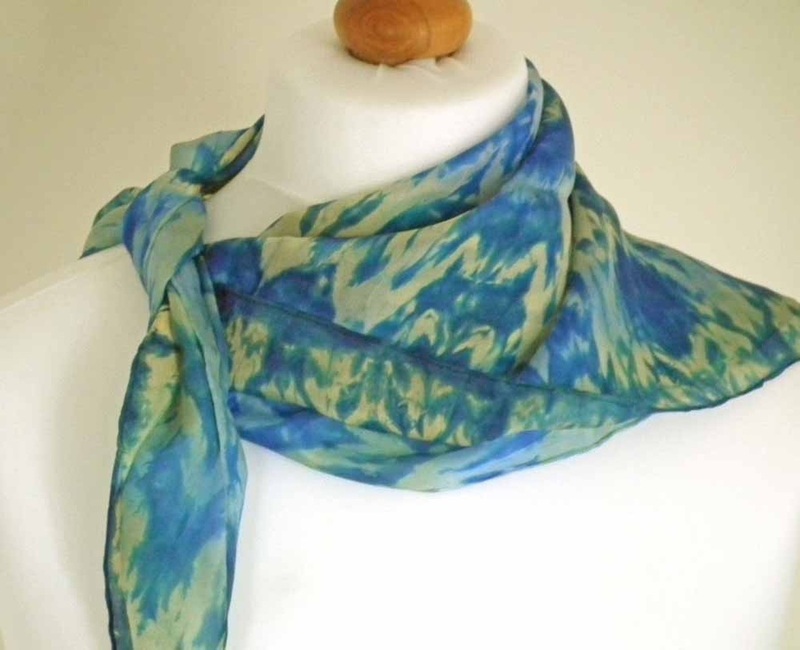 Resists such as gutta or wax can be used to outline a design and prevent the silk paints mixing on the fabric, or the silk can be painted without resists to give a free-flowing design. 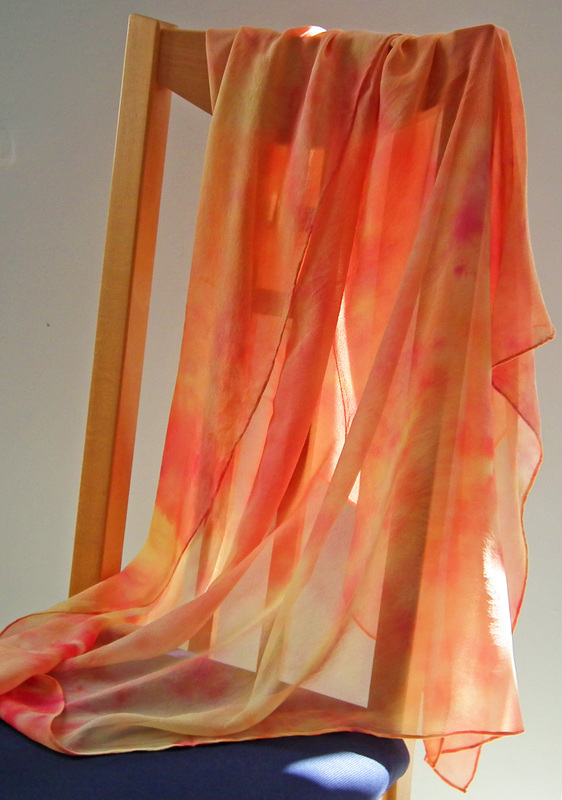 Once dry, the painted silk is steam-fixed and washed to remove any excess dye. 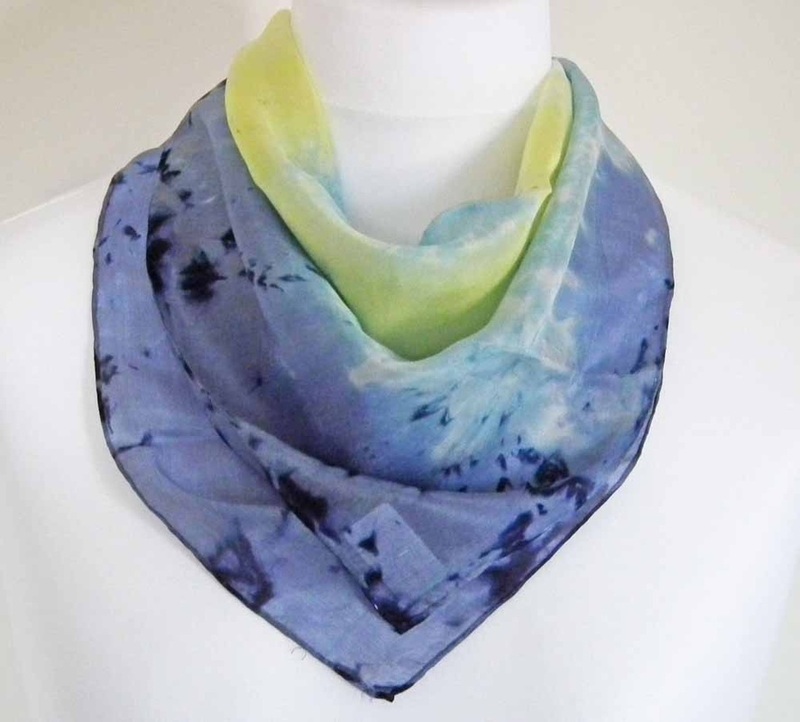 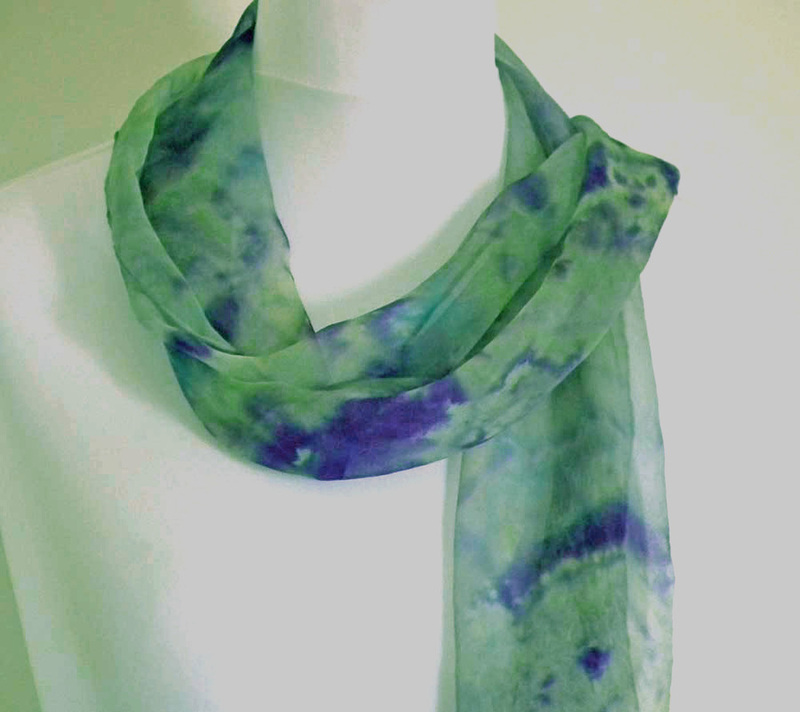 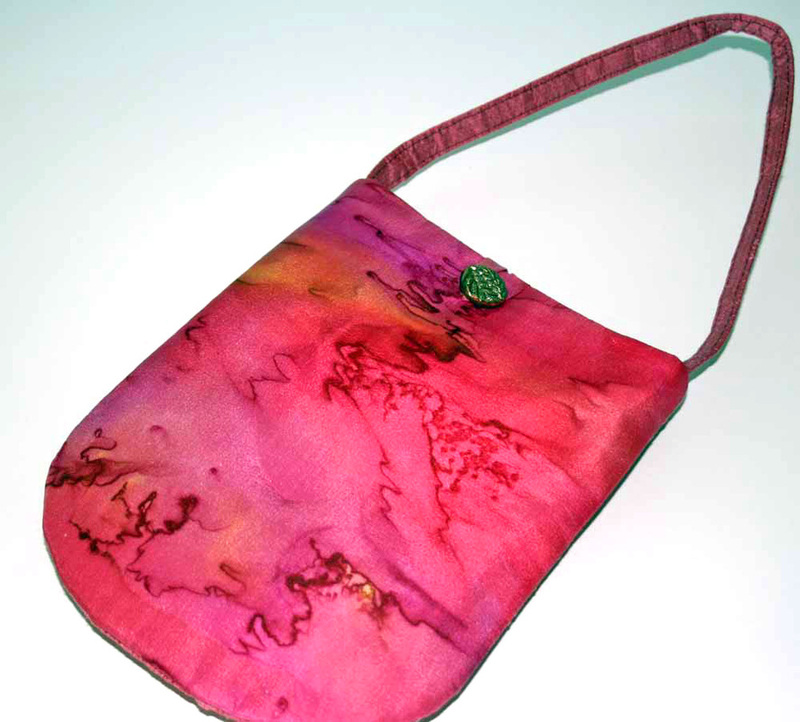 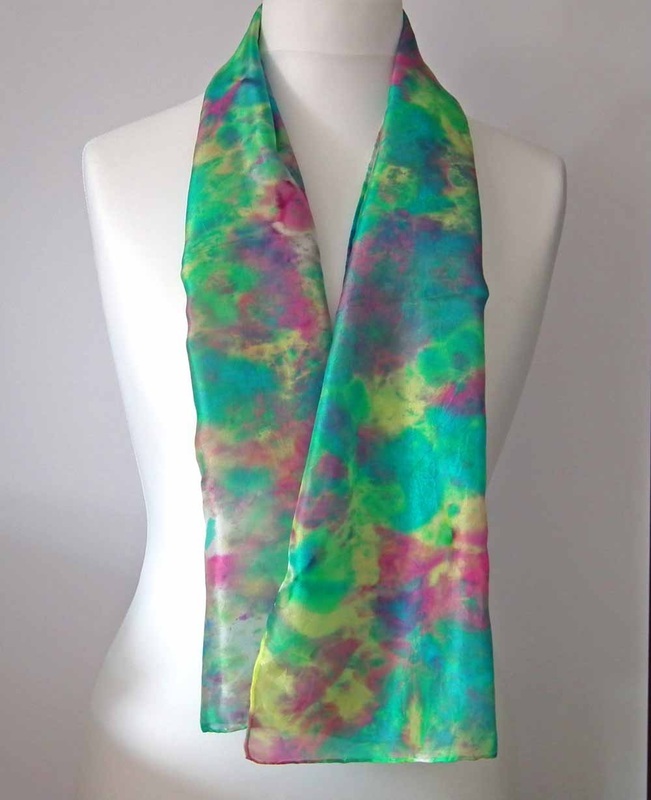 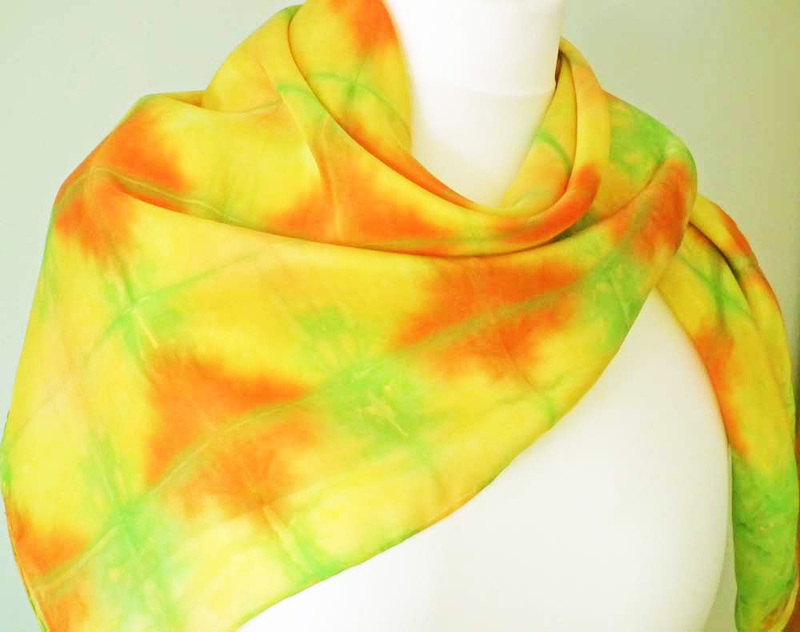 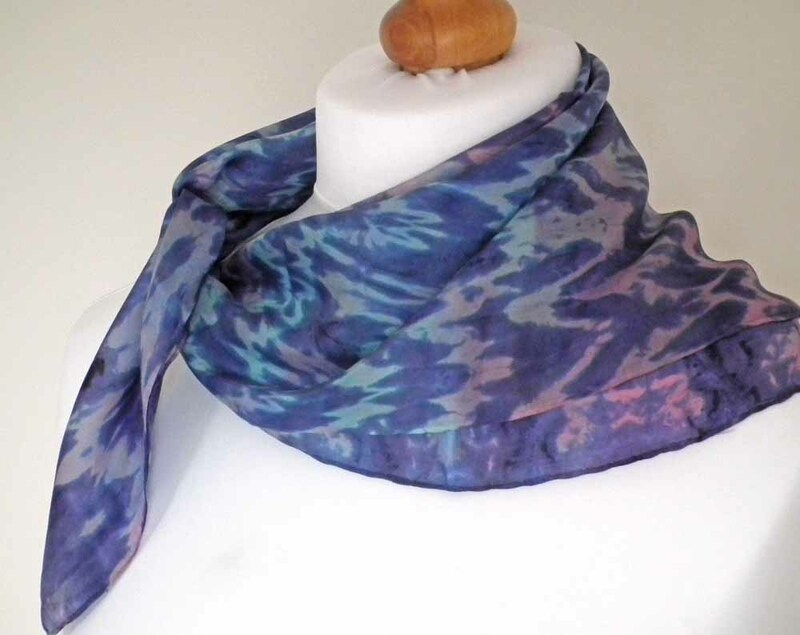 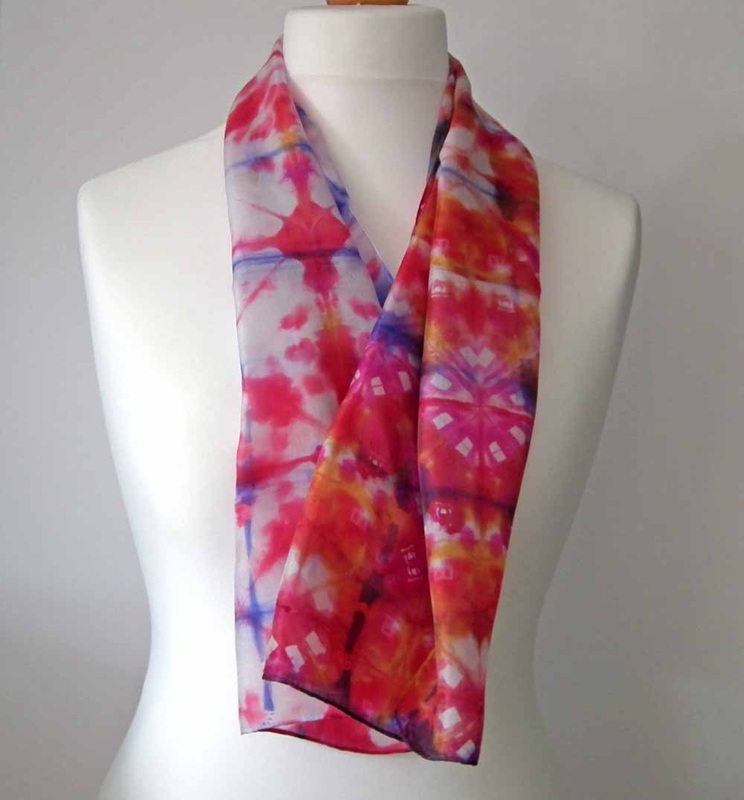 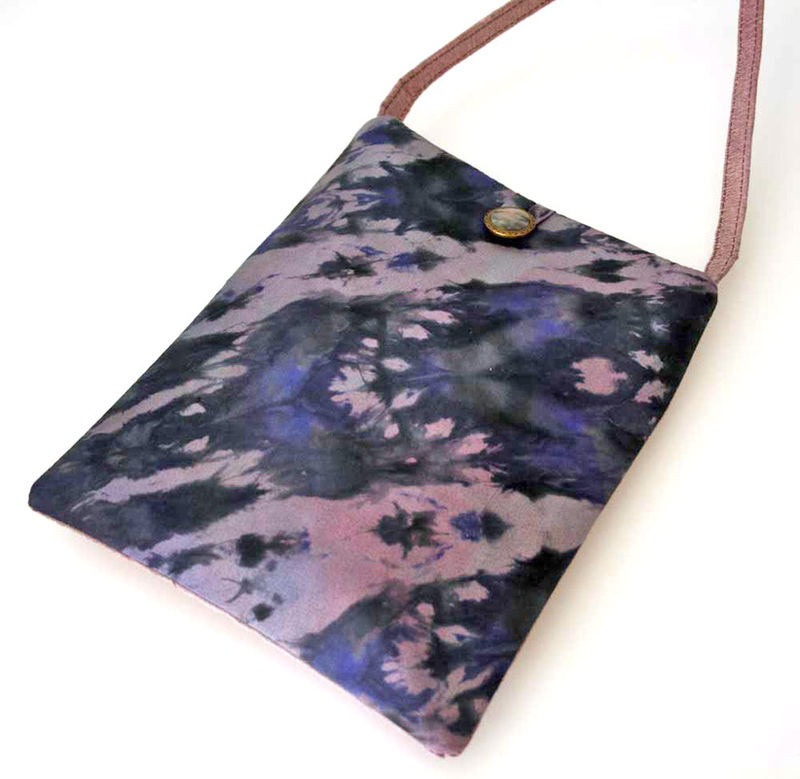 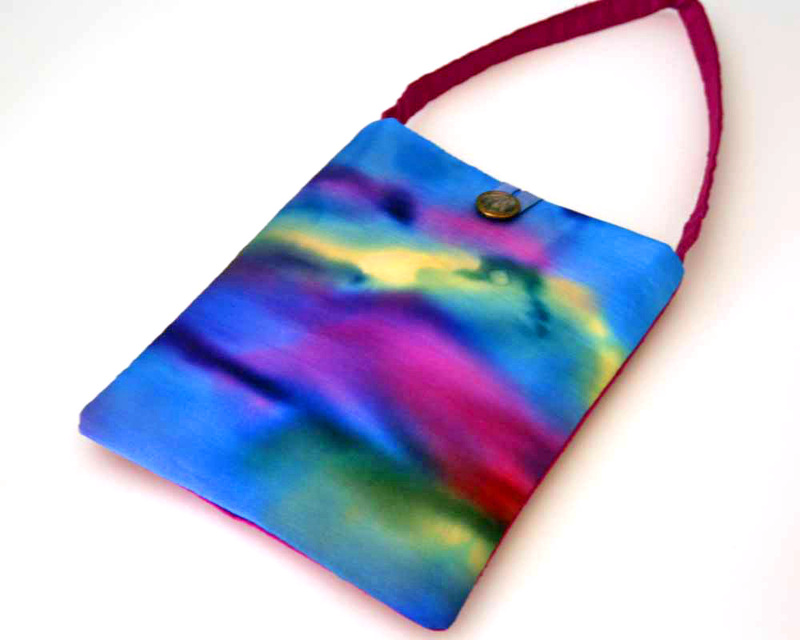 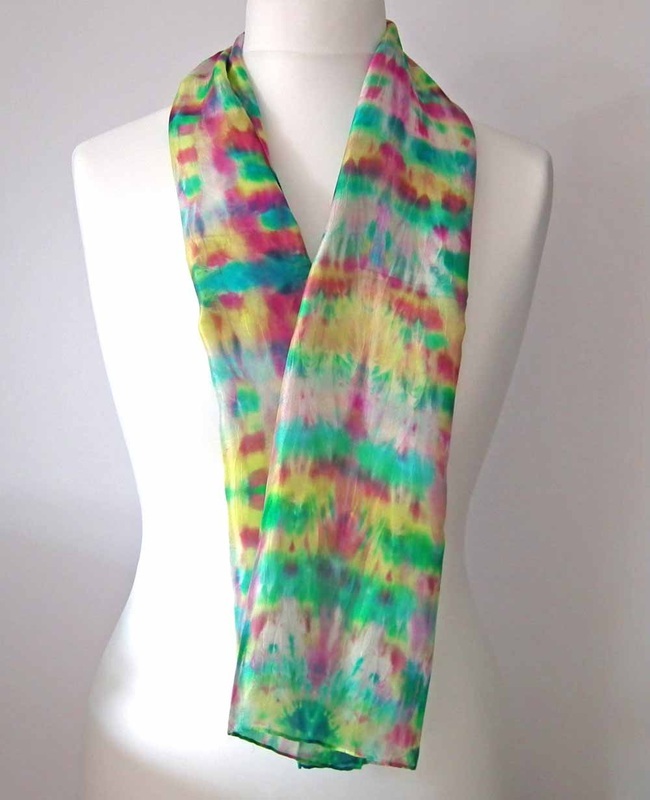 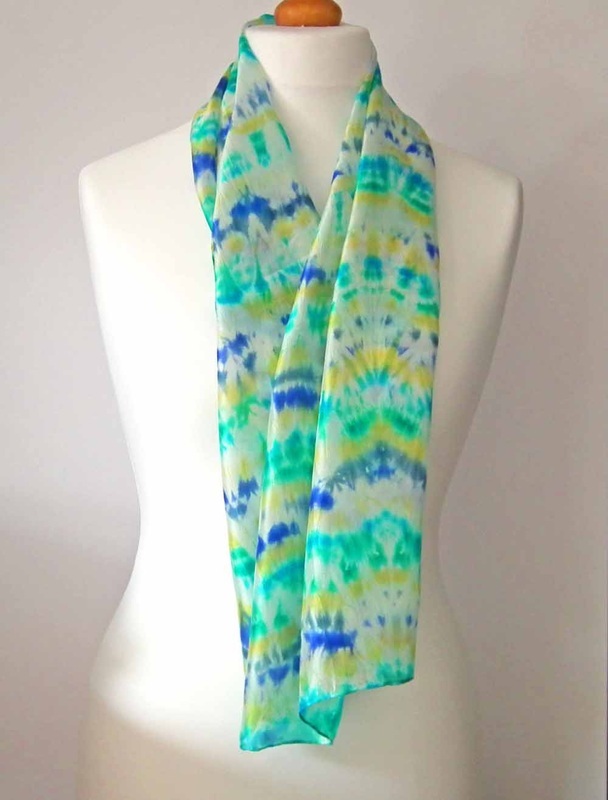 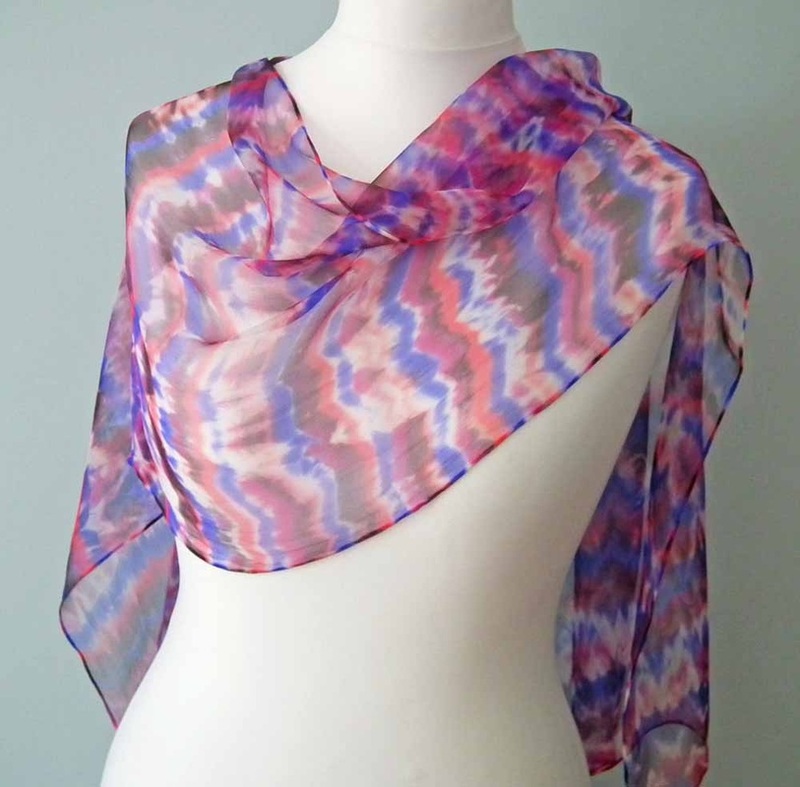 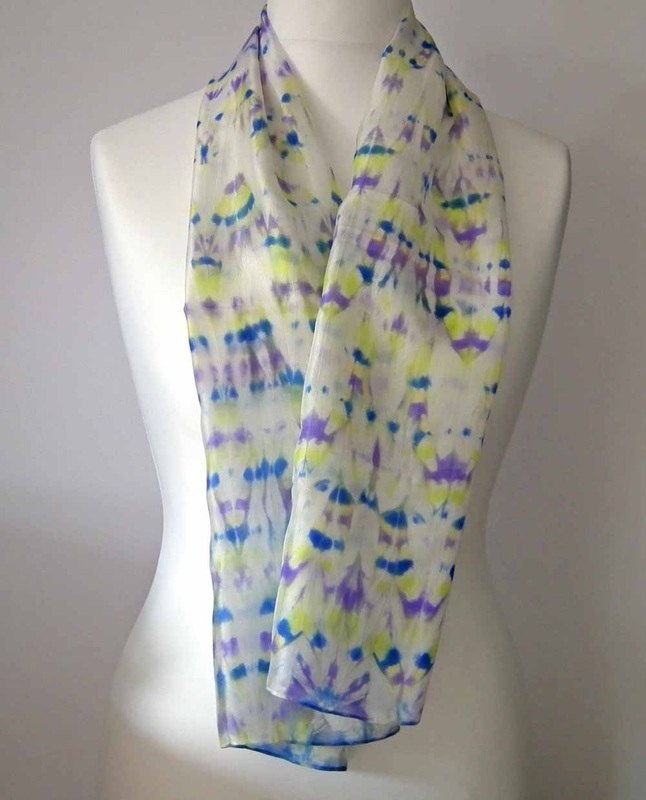 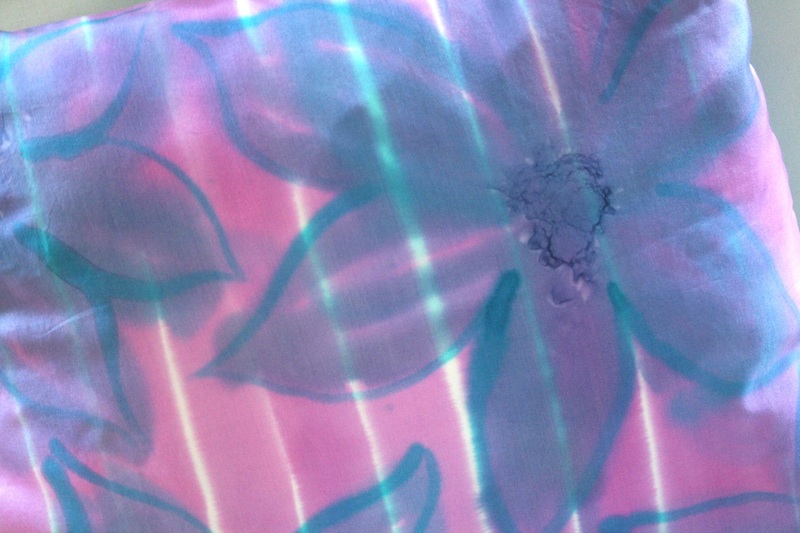 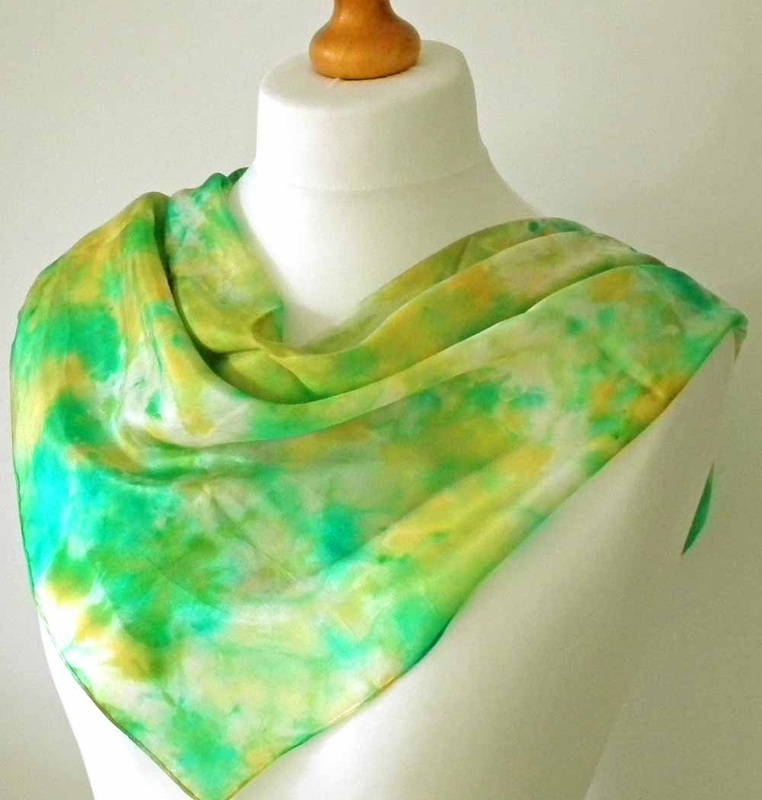 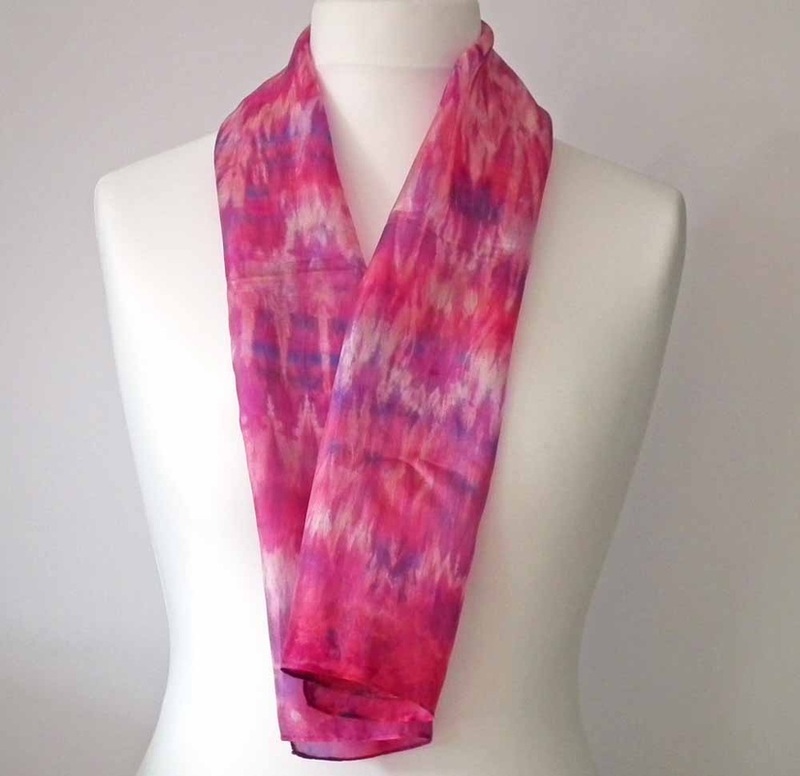 My dyed silk pieces are either space-dyed, immersion dyed, or 'shibori' dyed - which is similar to tie-dyeing - where the silk is wrapped, folded or tied to create resist patterns. 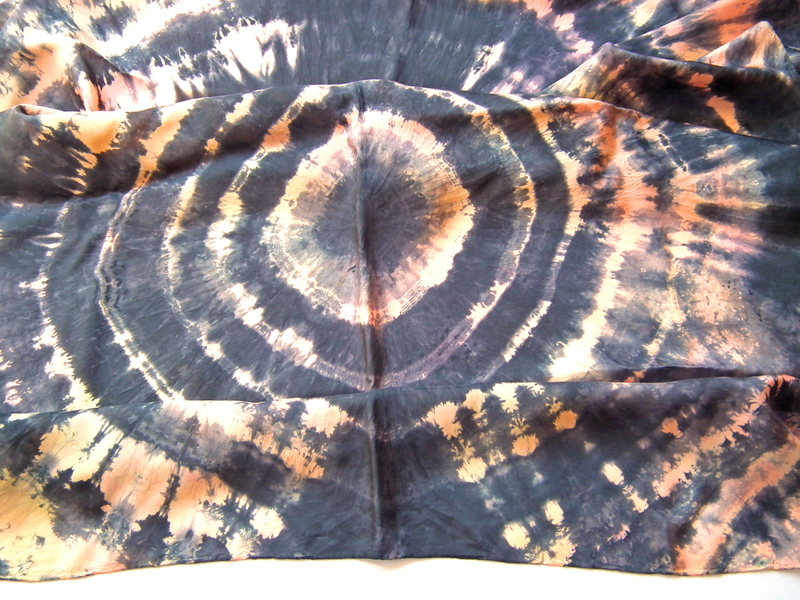 After steam-fixing them, the silk pieces are unwrapped to reveal the finished design. 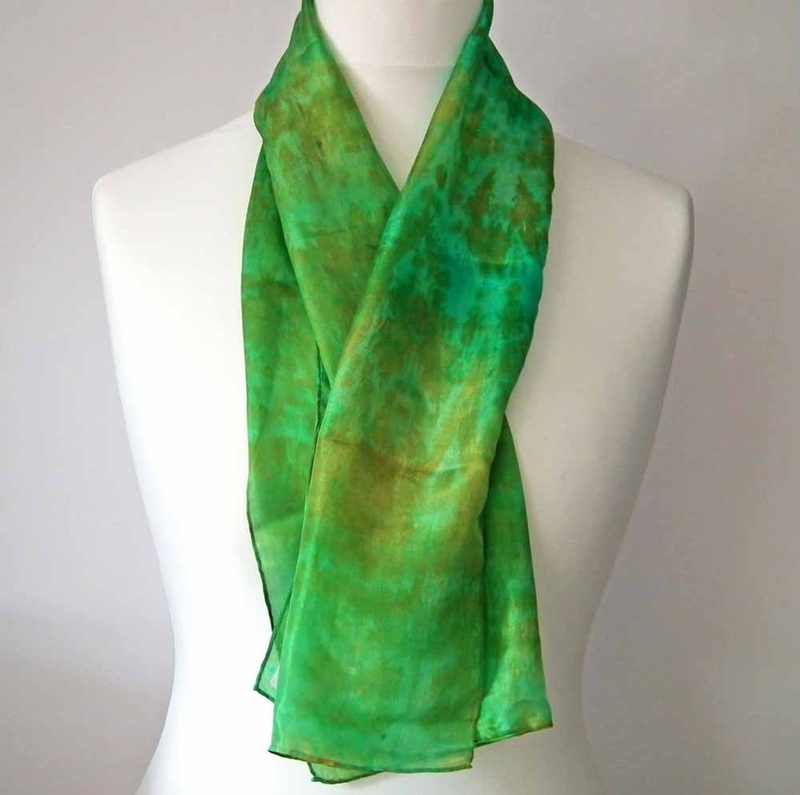 For current availability and to buy, visit my online shop.